I liked playing with dolls from a very young age. 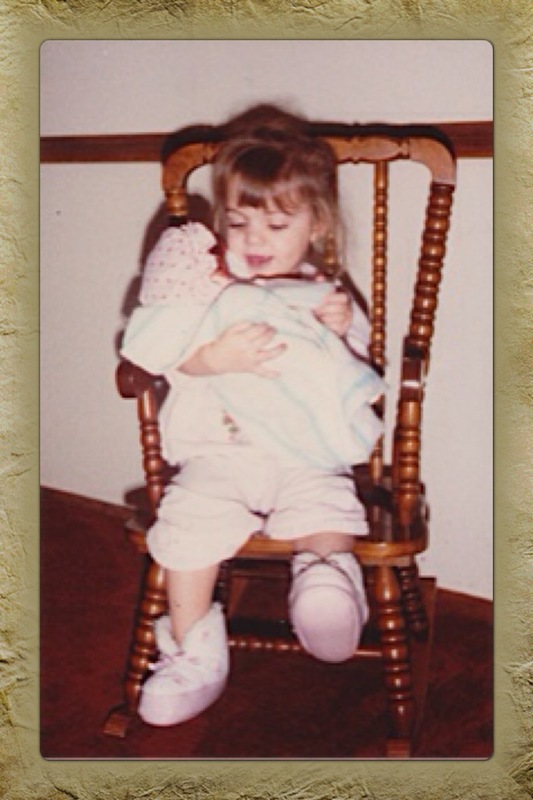 I adored my Cabbage Patch Dolls, especially the tiny preemie my mother bought for me on a trip to Toys ‘R Us, just the two of us. I loved to dress my dolls, wheel them in strollers around the house, and give them a bottle when I thought they might be hungry. My American Girl, Samantha, was my favorite toy of all time. To me, she was my child. I dressed her each day and fed her meals. I fixed her hair and chose special dresses on holidays, days on which she came to church and sat beside me, her glazed brown eyes staring straight ahead. I just loved my dolls. 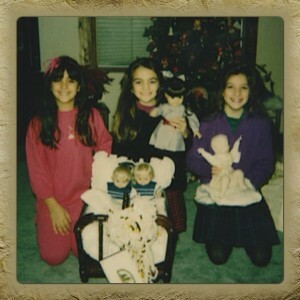 And when my sister Kristen, best friend Fannie, and I would play house, we’d pretend to carry these dolls in our bellies. With a pillow stuffed under our shirts, we’d waddle around with our tiny hands on our aching backs and give birth on Fannie’s four post bed after “nine months” had passed. As a young child, I never thought my path to motherhood would be any different than the one we created in our imaginations. Instead of my hips, it was the word that spread as we publicized our hope to adopt as much as possible. Instead of nine months of pain throughout my body, my heart ached through fourteen months of waiting. I did not grab my hospital bag and rush to the hospital to endure five, ten, or twenty hours of grueling labor; instead, I quickly packed a suitcase and endured hours of traveling to be followed by days of waiting. 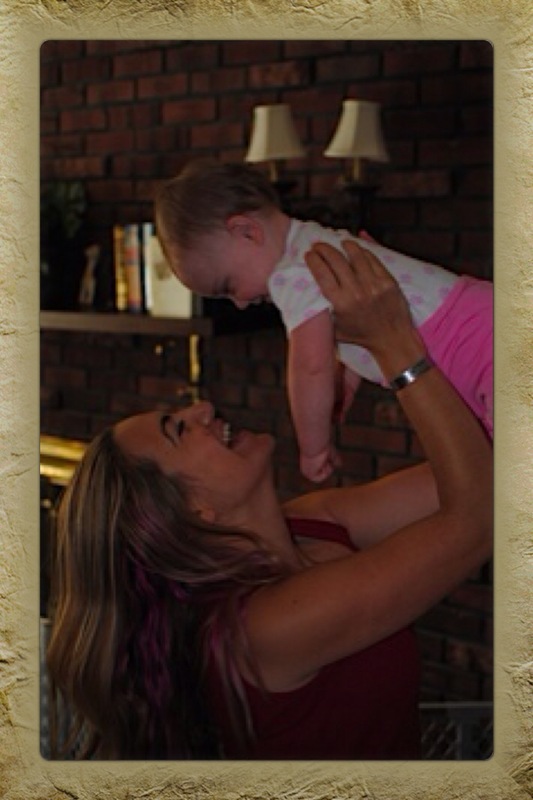 Yes, my road to motherhood was quite different than what I expected. It seems that some people outside of adoption assume we adoptive parents would change that path if we could, that we would switch our unique journey with theirs if we had the chance. That question is a complicated one. We adoptive mothers often begin our journey with a number of losses, a number of things we have to give up or let go. But that is only the beginning. The most natural thing a woman can do, the most gratifying physical experience of the female body, a spiritually fulfilling miracle. That is how I’d heard pregnancy described. I’m sure every word is true. So was I upset when I realized I couldn’t carry my baby in my womb, nurturing her for nine months while she grew inside me? I longed to be the women around me with their full and bulbous bellies. I would stand in the shower, push out my stomach, and slowly rub it with my palm, pretending there was a baby inside. After accepting that I would not carry my child, we attempted surrogacy. Six months later when the surrogacy failed, I realized I would also not experience having a biological child. Was I upset when it was clear I would never see the child created by me and the man I loved? I had imagined the child I would have with my husband since the day we were married. I usually pictured a boy. A dark-haired, stocky baby boy with carnation pink lips between two chubby cheeks. But one day I learned he would never be. I would never learn whose features he’d hold onto, whose eyes I would see in his, if his voice would be deep from childhood like his father’s. I would never know him at all. And it hurt. It was a loss, a loss I grieved like any other. Yes, I was heartbroken by these losses. My heart seemed to miss these things that I couldn’t touch or see, things I never had at all. But then I met Rosie. Then I felt her crying body settle the moment I placed her on my shoulder. Then I heard her softly breathe as she slept. Then she laughed, a crinkle in her nose like a backslash. Then she called me Mommy. Then she held my hand as we walked down the street. Then she crawled in my bed in the morning, pressing her side to mine as she shared my pillow. Do I still wish I could have carried a child in my womb? Am I still sad that I do not have biological children? Because I love my daughter and, just like any mother, I wouldn’t trade her for anything, not the miracle of pregnancy nor the plump, dark-eyed baby I dreamed up in my mind. Because to have born a baby or to have met my biological child, I’d have to give up the little girl with whom I am completely in love. I would have to say goodbye to things like the toothy smile that she gives even when I’m being stern, the softness of her voice as she sings the ABCs, the way her tiny hand strokes my skin while she’s laying on my chest. The things I couldn’t live without. No, I would not trade my unique journey to motherhood with anyone else’s. I wouldn’t change a single thing. « I auditioned for Blogger Idol! 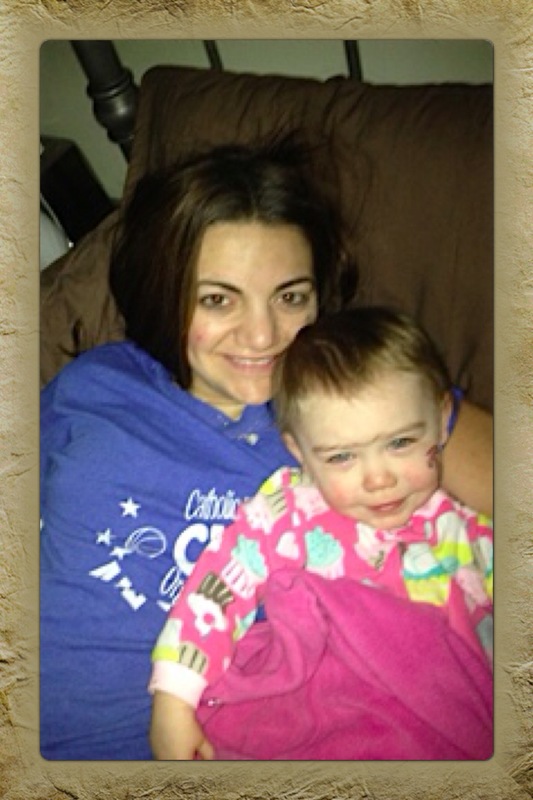 Not only are you an amazing mother you are an amazing person and such and inspiration to so many. You are one of the most amazing people I know !! Kim I love your words. I see the love between you and Rosie. The bond couldn’t. Be any stronger. Kim, I think that God always has a plan. He knows what is in the future for everyone of us. He prepares us to face these things and somehow binds it all together. When Michele came to live with us it didn’t take long for her to become my daughter just as much as Katie, Kristen and yourself. I feel as if God knew what was in the future and showed you that there is no difference in laboring to give birth to your baby or to feel the pain of the laboring to find the baby of your dreams.